Vogue Italia just isn’t the same without Franca Sozzani, and no matter how many Kaia Gerber, Gigi Hadid or Kendall Jenner covers Emanuele Farneti throws at us, it’s simply not enough. 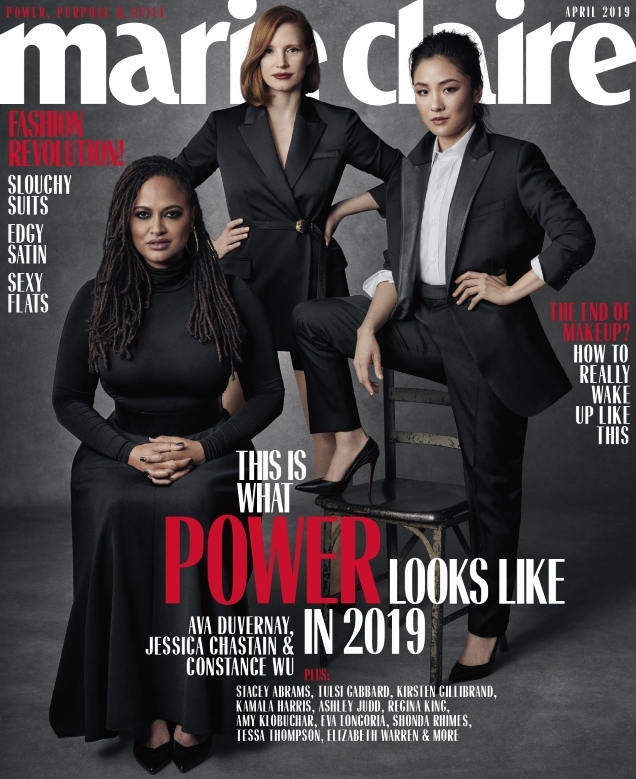 The magazine’s big spring fashion issue for March 2019 is here and at the very least, it’s highlighting a great cause — saving our planet. 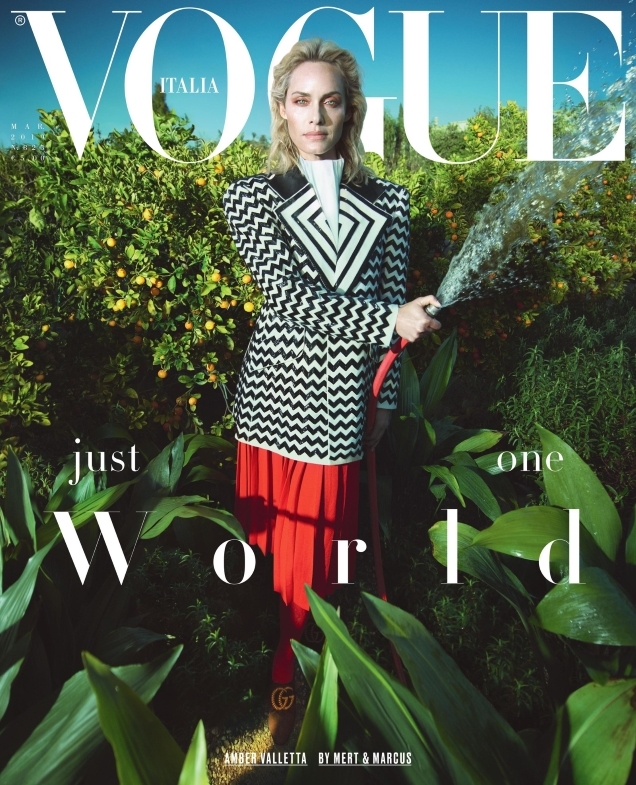 Enter model Amber Valletta, photographic duo Mert Alas & Marcus Piggott and stylist Ib Kamara, who make up the team shooting this month’s ‘sustainable’ cover featuring Amber watering some plants while decked out in head-to-toe Gucci. Our forum members are so over Italian Vogue. “Her face looks odd … what a waste of Amber! And the theme … we only have one world and still, you produce such mediocre work on paper made from precious trees!” called out Starry. “Terribly awful! I can’t help imagine what Steven Meisel could have made of such a theme. At least something visually arresting. 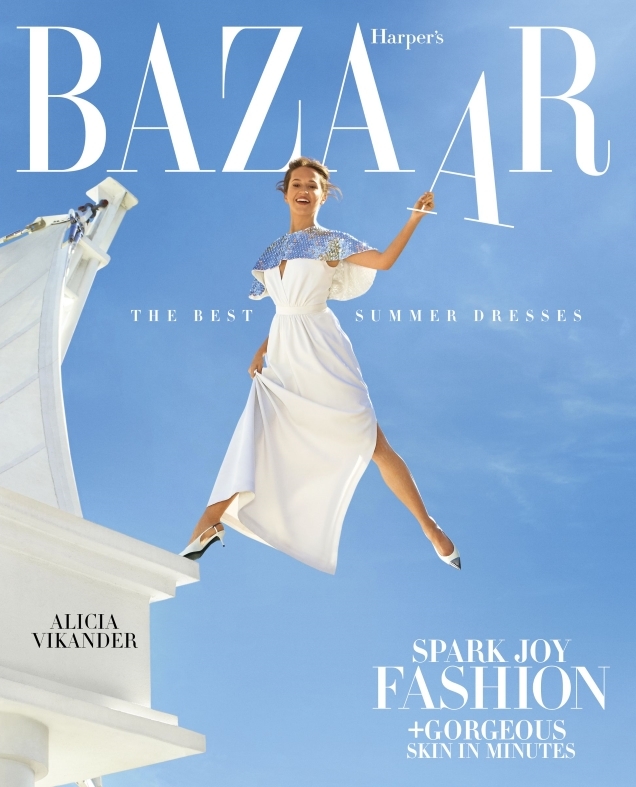 Why not feature a designer known for sustainability on the cover if you really want to make a statement? VI really has no vision anymore, nothing interesting to say or show,” echoed style_expert. “This looks so wrong. Unfortunate,” tjasmine commented. “This had all the ingredients to be good: You’ve got Amber, you’ve got M&M, you’ve got the concept … but the execution is so poor. The issue is a tribute to our planet, which is OK, but putting some plants and a cover line is not enough. Why not style her in Stella McCartney, who has been very active in this field?” asked apple. “What in the world is this!” exclaimed dodencebt. Care to see more? Check out Amber’s cover story and a special tribute cover to Karl Lagerfeld here. 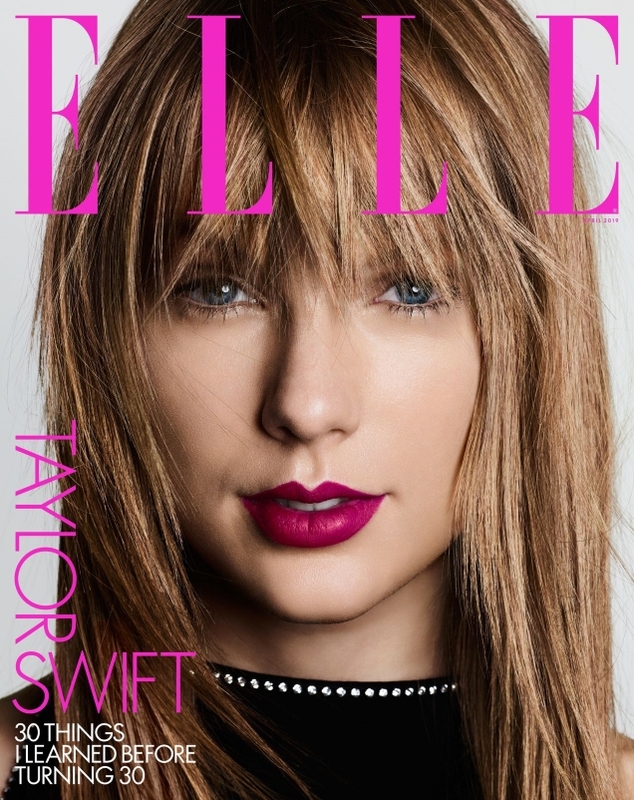 Our forums called it: Taylor Swift has indeed signed a global deal with ELLE to appear on multiple covers of the magazine across the world. Earlier this week, we saw Taylor make her debut on British ELLE, where she sported a questionable Gucci getup, receiving a resounding thumbs down from our forum members. The wait for American ELLE‘s take on Taylor is over and unlike the Selena Gomez and Rihanna global covers previously, Taylor was photographed and styled by an entirely different team for the title’s April 2019 cover shoot. Shot by Ben Hassett and styled by Paul Cavaco, the newsstand cover (below) pictures the hit-maker in a mega close-up shot — letting that bold lip color do all the talking. “What! A close-up cover with bad makeup? ?” asked ghostwriter10549 the moment the cover dropped. “Yeah, it’s a real shame about the mouth makeup, it literally ruined the cover,” chimed in Morgane07. Ashley Graham may just be our favorite model right now, largely due to the fact she excels at absolutely everything she does — from creating clothing ranges to speaking out against body issues and nailing it on the red carpet. The Revlon brand ambassador also delights us on the covers of our favorite fashion glossies — see: British Harper’s Bazaar, American ELLE and Vogue Arabia. That’s why we aren’t at all surprised to see Ashley working it like the rent is due tomorrow on Harper’s Bazaar Australia’s April 2019 edition. Photographed by Nina Munoz and styled by Kristen Ingersoll, Ashley gives us flashbacks to Cindy Crawford’s modeling heyday, sporting a head full of curls and a sultry makeup look teamed with a red Toni Maticevski trench and black Zadig & Voltaire booties. Another home run of a cover for Ashley, according to our forum members. “Love it. I like that the studio shot looks this bright when the background is kept lighter,” said dfl-001. “Beautiful, sometimes you just need a gorgeous, even if generic, cover,” applauded Miss Dalloway. 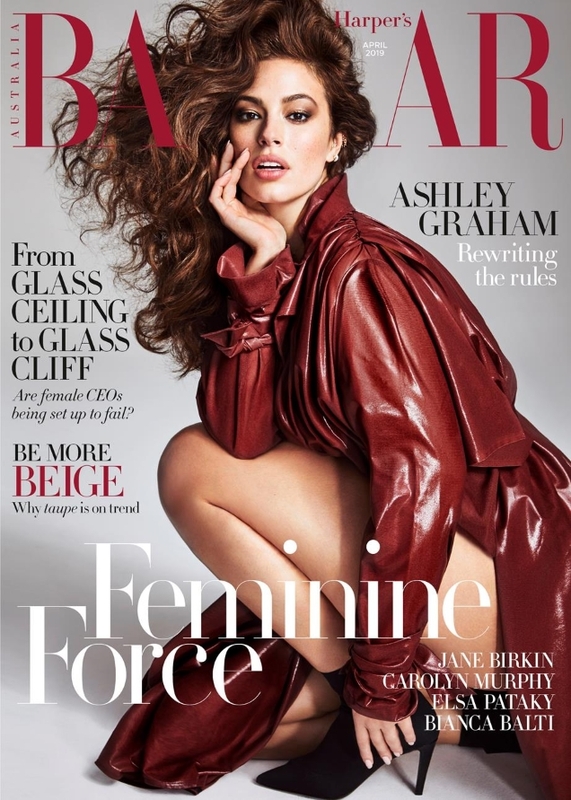 “Love Ashley Graham, this cover is generic but I agree she (like Heidi Klum, Tyra Banks, Cindy Crawford, etc.) knows her niche and works magnificently at it. Gisele is like that, too: pure commercial glamour that is timeless. Not edgy and not showing different poses or looks, but it works!” said Bertrando3. “I was just thinking that Ashley’s good on the front of magazines because she has that generic appeal that cover girls used to have — you couldn’t ever have said that Cindy Crawford was that versatile, by fashion standards, but she knew her audience and made the most of it. And it’s a similar story with Ashley — she’s not trying to be edgy, she’s selling a lightly glamorous look which might not be to high fashion tastes, but it doesn’t go out of style for the general public,” tigerrouge echoed. Feel the same way? Sound off and await more from Ashley’s cover shoot, here.